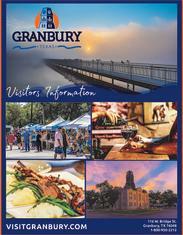 Granbury has been featured on a variety of different channels and live news programs in the DFW area! These features have a very high media value, and air in front of thousands of DFW and North Central Texas residents. Enjoy a couple of our favorite clips by clicking on the links below! WFAA Channel 8 - "The Panhandle on the Historic Granbury Square"
"D&apos;Vine Wine on the Historic Granbury Square"
"Granbury Opera House presents &apos;Footloose&apos;"
"The Iron Horse Inn Bed & Breakfast"
"8 Free Ways to Commemorate Memorial Day in North Texas"